Pages in this section use ActiveX controls - please make sure that they are enabled to allow complete navigation of this area. This product is still beta-version, so please email any problems, comments or questions to BATS CTD processing. Click this link to download the full 2 second averaged data set as a tab-delimited ASCII text file. 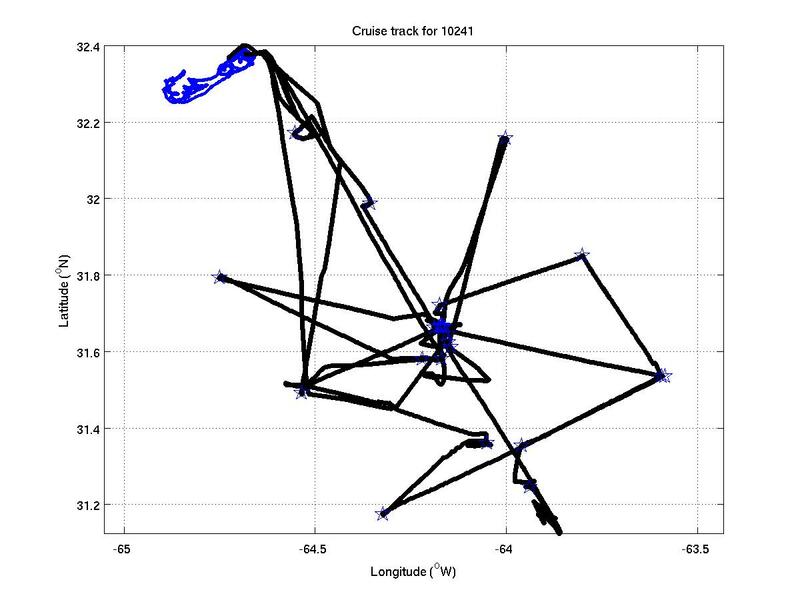 Click any of the data types to see that variable overlaid on the cruise track below. Right click on the image to save. CTD casts are shown as stars.